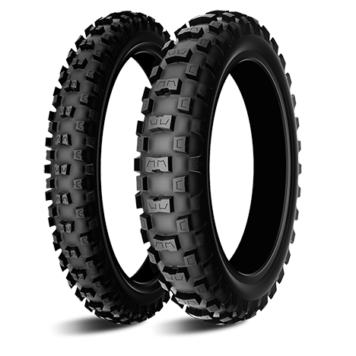 Loyal replica of the adult MICHELIN Starcross MH3 tire, the MICHELIN Starcross MH3 Junior tire benefits from the same qualities as its elder. For 50cc, 65cc, and 85cc motocross bikes, as well as pit bikes, on mixed to hard terrains. In stock or Available 2nd business day Free in most cases if ordered by noon. We will call you to set up an installation appointment once order is placed. 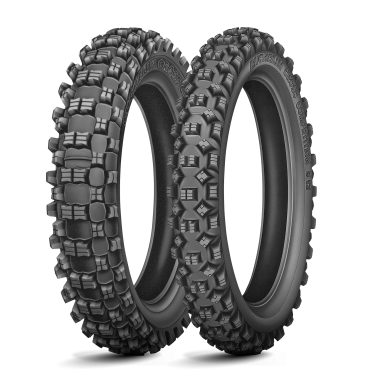 Why choose the MICHELIN Star Cross MH3 HARD MINI? It took several years to develop this tire with its one-of-a-kind performance. 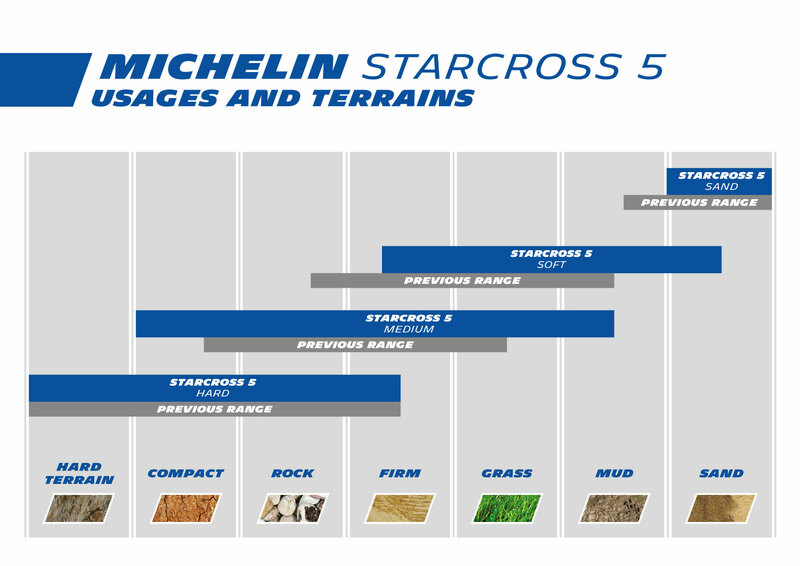 The MICHELIN Starcross MH3 Junior tire benefits from the same qualities as its elder. 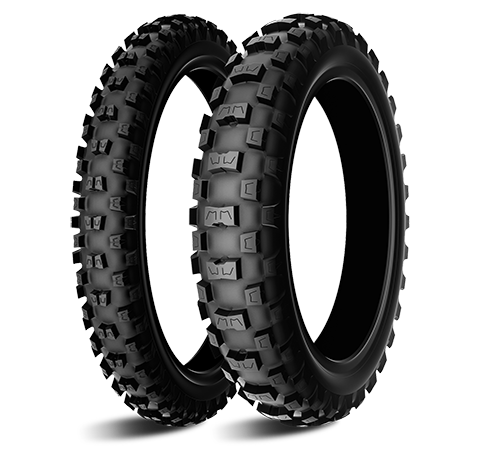 More lightweight and maneuverable, the new MICHELIN Starcross MH3 Junior tire is perfect for mixed/hard terrains. At Michelin, we never work on one isolated element of performance. Instead, we focus on the whole package: safety, durability and the thrill of riding… all at the same time and with no trade-offs. 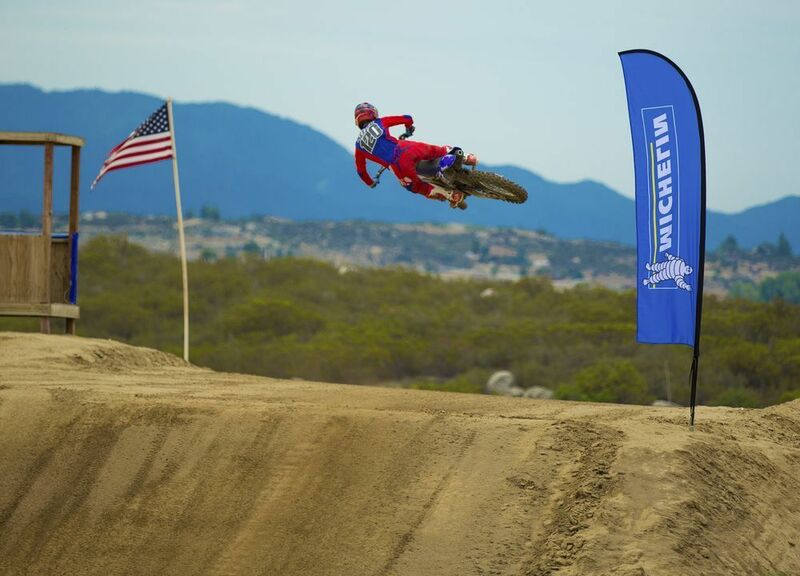 That’s what we mean by MICHELIN®Total Performance™. Whether hitting the trails or open roads this weekend, don’t get LEFT BEHIND. Shop your LOCAL Motorcycle Dealership at Adrenaline Motorsports Toys in Lawrenceburg, IN for PARTS & SERVICE. 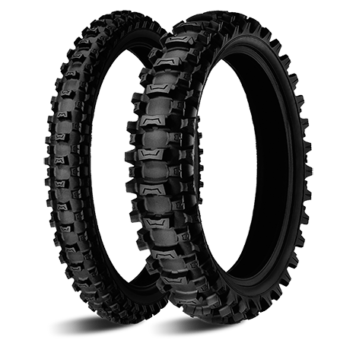 BEST Pricing on Motorcycle Tires, ATV Tires, UTV Tires, Dirt Bike Tires and more. What’s it take to get your Adrenaline going again? Check out our new electric dirt bikes for kids. We offer FREE SHIPPING with 2nd DAY on most items shipped to OUR store. Keep business LOCAL. Family owned since 2008. HARLEY DAVIDSON and HONDA Certified Mechanic. We also work on YAMAHA, SUZUKI, KAWASAKI, CAN AM, and POLARIS. 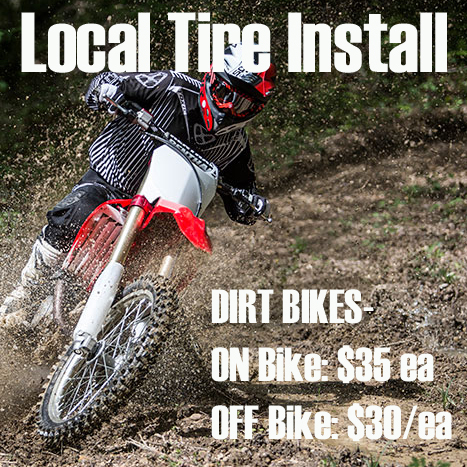 Lawrenceburg, Indiana’s only, MOTORCYCLE, ATV, UTV, DIRT BIKE Service, Maintenance, and small repair shop. Standard base rate $65 per hour. We try to make it straight forward and easy with FIXED RATE pricing below. *$45 Local pick up and motorcycle road side assistance available. 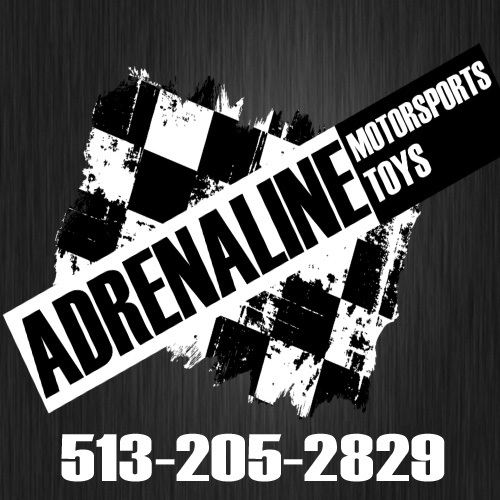 Adrenaline Motorsports Toys is FAMILY OWNED and has been serving the local Cincinnati Tri-State area since 2008. Our goal is to provide a superior alternative to your average powersports dealership. We keep it simple. Offering general maintenance and small repair we often offer same day service. 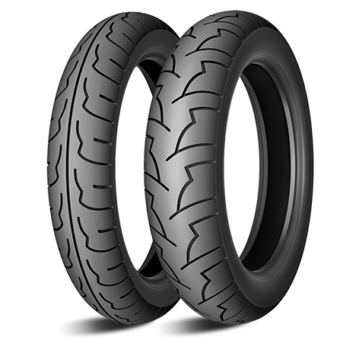 Motorcycle and ATV/UTV tire changes while you wait. Fast repair and maintenance. Tires, Brakes, Chains, Sprockets, Batteries, Oil, Filters, Cables, Levers, Exhausts, Helmets, Accessories, and more to keep your Adrenaline going. Hitting the trails or open roads this weekend? Don’t let something keep you from being LEFT BEHIND. We offer FREE 2nd DAY on most items shipped to OUR store. Keep business LOCAL. 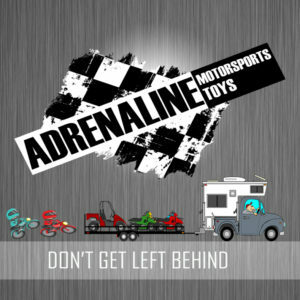 Adrenaline Motorsports Toys owner has over 25+ years of LOVE for the MOTORSPORTS INDUSTRY. He is passionate about exceeding your expectations. Travis Huber’s addiction for adrenaline came at the young age of 5 throwing his leg over a 1987 Honda Z50R. Since then he has dedicated his LIFE to spreading this addicting thing called FUN, something we can all UNITE on and become one big motorsports FAMILY. We love our customers and welcome your feedback and suggestions. Use our Contact Us page to tell us what we’re doing right or what we can improve on.